Technological advancements in the healthcare field are playing a role in reshaping the industry. Several leaps have been made over the last decade. Today, patients have more control over their healthcare because digital innovations are ushering in an era of democratization. Patients can do anything from scheduling appointments with their physicians through their mobile phones to checking their results and refilling medications in the same way. A perfect example of a robot that has been revolutionizing healthcare for a long time is the Da Vinci surgical robot. These robots allow the doctor to move around and examine patients even if they are seated in a distant location or at their desks. They also assist hospitals in internally transporting laboratory results, pharmacy supplies, lab samples, and patient foods among other things. Medical Robots are also useful in elderly care and are used to help patients move around. This big leap in technology will completely transform healthcare in the 21st century. 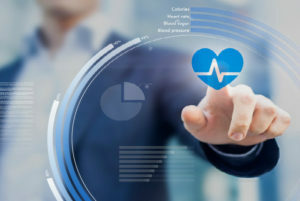 Cloud storage allows electronic health records software that contains crucial patient information to be accessed in real time, no matter where they are located. Medical practitioners will find it easier to assess patient clinical notes and diagnostic scans through this system. Digitization of healthcare records has certainly increased efficiency in the management of patient data. The use of good electronic health records software has also lowered patient costs as they do not have to incur costs in order to get assessed. Many doctors also find it easy to incorporate patient aftercare treatment as part of these records. Physicians across many countries will also be able to attend to patients with critical conditions through these EHR records. Addiction is no longer a problem that is under-addressed in today’s society. With technology taking center stage in healthcare, different digital platforms are being used in fighting addiction. For instance, Technology Assisted Care (ATC) is all about the use of technology devices to deliver behavioral treatment directly to patients. There are also a number of technology-based interventions such as the Therapeutic Education System (TES), a web-based psychosocial intervention treatment for addicts. Smokers can also make the most of Project Quit (PQ), a program that teaches them how to get rid of their smoking habits. These technology-based systems are revolutionizing healthcare by replicating a therapy program that works. Many addicts have benefited from such programs and over 40% of them have admitted to quitting their drug of choice because of the motivation that they got from therapeutic education systems. Light Amplification by stimulated Emission of Radiation (Laser) has proven to be a technological advancement that is certainly changing the healthcare system as we know it. There are a number of medical platforms where laser technology is being used at the moment. Cancer, hair removal, and toenail fungi are just a few conditions that can be treated through laser. The use of brain-computer interfaces is a technological advancement that connects a wired brain to an external device. Specifically developed for neural bypass applications, the technology is basically used to help paralyzed patients regain control of their limbs. Certain functions in the body can also be modified through these interfaces. A few existing examples include cochlear implants and pacemakers. Drones today are used for a variety of purposes. However, in relation to healthcare, they can be used in vital emergency and disaster response situations. Doctors can also use drones in the delivery of healthcare goods to their patients. This makes it highly convenient for patients who reside in far-away places to still get the healthcare treatment that they need without necessarily traveling for long distances. Many associate 3D printing technology with manufacturing. However, the healthcare system has proven that it can put this technology to better use. 3D printing allows for customized treatment, in that doctors are able to create implantsspecifically tailored for a patient and provide on-demand inventory. Many hospitals are adopting the use of 3D printed facial implants. As a matter of fact, the Organovo Company in San Diego has created functional liver and kidney tissue with 3D bioprinted technology. When first launched, smartphones were used for the sole purpose of communication. With a potential that is yet to be realized in healthcare, smartphones have allowed the storage of thousands of health apps that allow people to track their diets, weight loss results or even measure their depression level. This data can be shared with clinicians who will easily recommend treatment for them. Smartphones also serve as a hub for new diagnostic and treatment technologies. They are highly effective data collection devices that may act as an electronic health records software of sorts. They enable people to track their health status and allows researchers to gather large amounts of health data. Computers are not always the most accurate when it comes to recognizing different patients’ habits. Therefore, new medical techniques that allow computers to learn without being explicitly programmed are being developed. These techniques will be able to provide diagnostic support and also offer clinical guidelines, scientific literature, case studies and treatment protocols. With these new technologies comes new opportunities for the healthcare industry. They have improved the usefulness and accuracy of patient information and have essentially changed how everyday healthcare is being delivered. Today, illnesses can be easily prevented, detected, predicted and treated. Some of these technologies are still in their infancy while others have proven results. Either way, you can be certain that they are making an impact in one way or another.